SIT is a collection of chairs, armchairs and stools developed with many possibilities in both materiality and use such as gathering spaces and other contract applications. 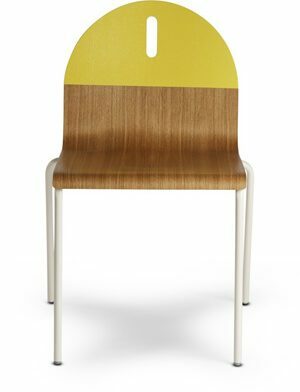 Sit in all its versions (Wood, Mix, Soft...) adapts without losing its characteristic lightness or personality. It also meets the most stringent durability requirements and is made from recyclable materials manufactured in an environmentally friendly manner. The collection offers an additional UV resistant version for use in exterior applications and with option to apply a special fire resistant treatment. Stackable armchair with thermo-polymer seat, arms and backrest available in several colors and 4-legged tubular steel base in titanium finish. Optional: polished chrome finish and other steel colors.